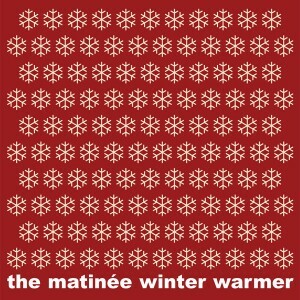 Fourth in the popular series of seasonal Matinée samplers - this one released on the eve of winter and containing winter and holiday themed songs from top Matinée artists. Features 10 superb tracks including exclusive new songs from Harper Lee, The Liberty Ship, The Lucksmiths, Melodie Group and Pipas plus seasonal gems from The Fairways, Lovejoy, The Pines, Slipslide and The Windmills. Selling for the price of a single and limited to 1000 copies, it's the perfect stocking stuffer or nifty new year gift.